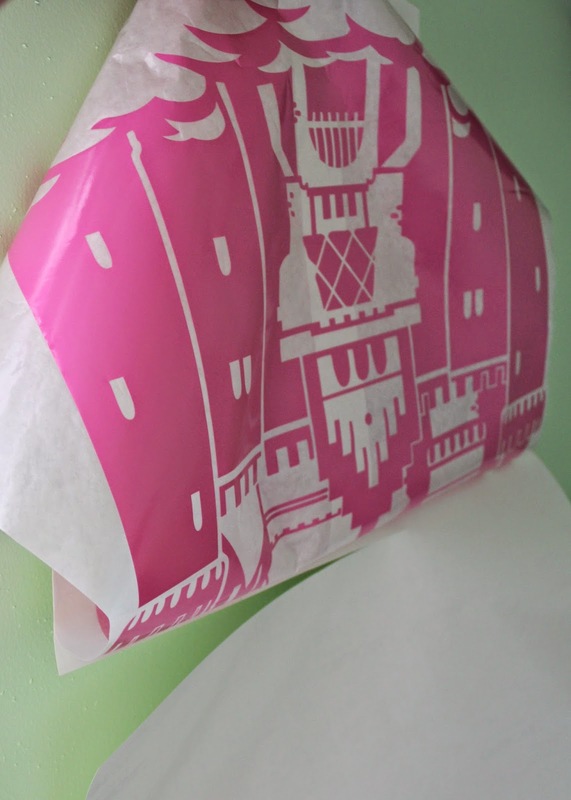 I have always been drawn to the cute wall decals used for home décor, so when CozyWallArt.com contacted me about trying one of theirs, I jumped at the chance. 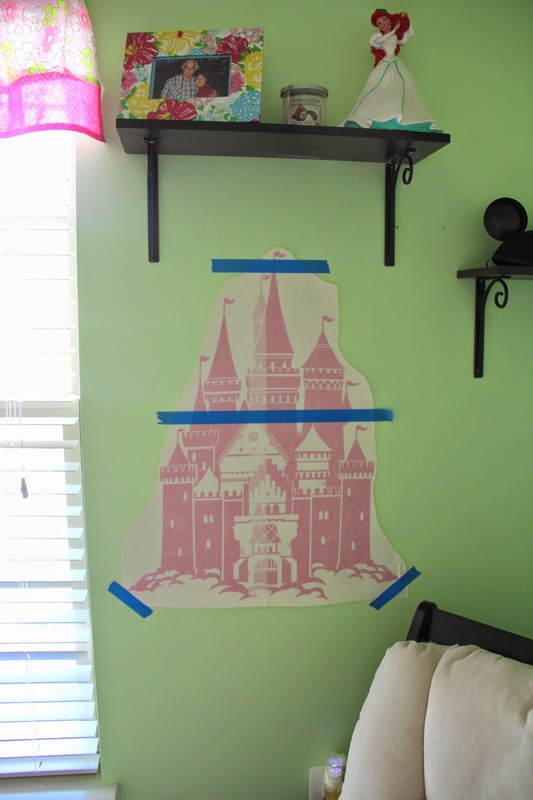 Knowing how much we love Disney, they suggested their castle decal for Charlotte's nursery. Shipping was fast and it came in the mail in a nice shipping tube so it would be in perfect condition when I received it. Inside was an instruction sheet, the decal, an application squeegee plus a sweet extra gift of lollipops with a mini practice decal. I followed the directions to a T, but thought it would be helpful to show you through pictures how easy it was to apply. If I can apply this decal with a screaming baby in the room, than anyone can do it no problem! Once the decal was flat and smoothed out, per Cozy Wall Art's (http://cozywallart.com) recommendation, I taped (writing side down) it to the wall for placement. I removed the bottom two pieces only to begin peeling away the paper. 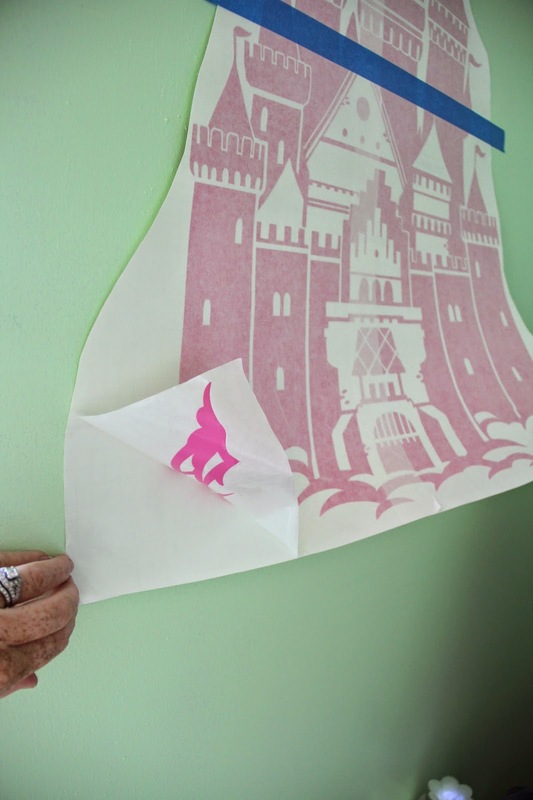 Peel the decal from the paper slowly and carefully making sure nothing gets left behind on the paper side. Once you reach where your tape is, hold with one hand and cut the paper off. Now you slowly lower it and press against the wall being careful not to create bubbles. This is where you will use you squeegee tool to smooth it all out since you still have the top layer on. No need for the piece of tape since the bottom half is adhered to the wall. Working from the top, do the same thing and peel the paper away from the decal until you reach the center where it will just fall off. Again, you slowly stick it to the wall as you did the bottom half. Continue to use the squeegee tool and smooth out as many bubbles as you can. You will also want to use it over the entire decal so this next and final step is easy. 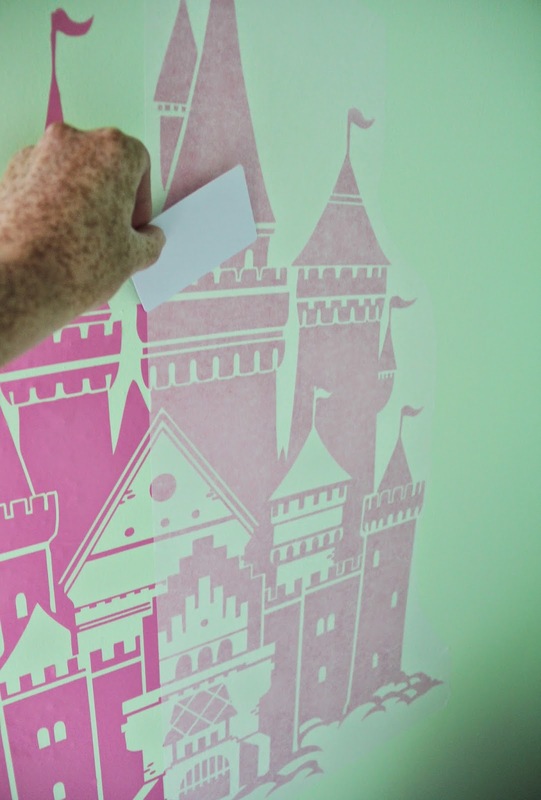 Start from one corner and begin to slowly peel the top layer off leaving just the decal on the wall. Sometimes small pieces (especially on the more intricate designs) might stick to the paper. If this happens fold the paper back up an inch or so and smooth that section out using your squeegee tool, then peel back again. Once that top layer of paper is off, you're done! And in about 30 minutes from start to finish, you have a pretty sweet decoration. It's easy to fill our wall space with mirrors and frames and shelves, so why not add a decal as something new and different? I love the way mine turned out. They had so many colors to choose from and I' so happy with my choice of the pink as it goes perfect with everything else. 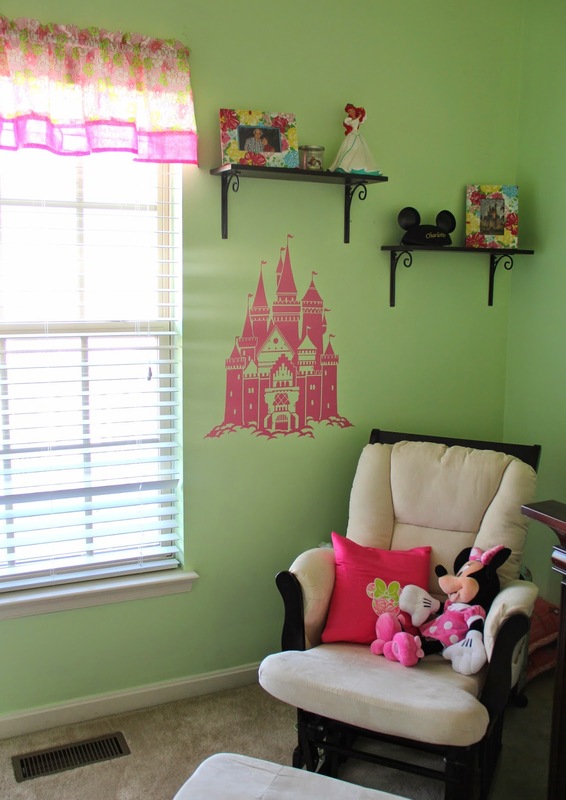 Check out all the different decals they have for nursery's and kids' rooms. You can even get them personalized! Why didn't they have this stuff when I was a kid?! So if you're in the market for a wall decal, be sure to check out Cozy Wall Art (http://cozywallart.com). They are on Facebook and Instagram too! So cute! That color really works in that room.